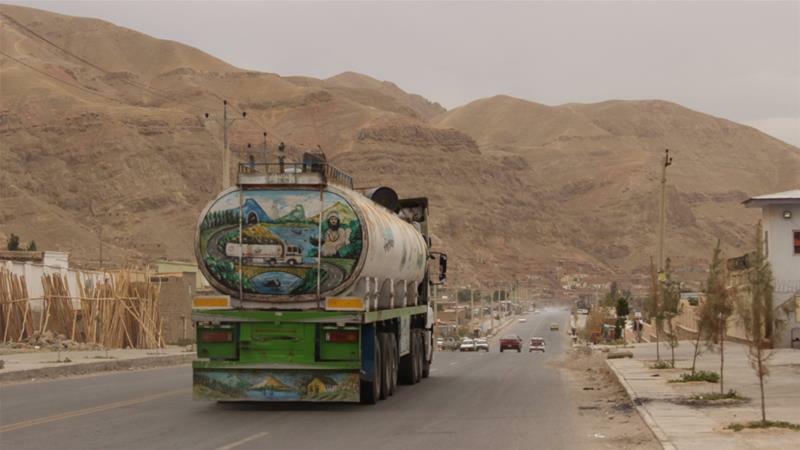 Late in May, 26-year-old truck driver Bilal Hakim was travelling along his regular route through Afghanistan’s northern province of Baghlan to Kunduz. He had taken the journey with the same cargo – a 50-tonne tanker of oil – several times in his five-year career. “Somewhere in Baghlan-e-Markazi district, I was stopped along with a few other trucks at a makeshift checkpost manned by gunmen,” said Hakim*, who did not want to use his real name for security reasons. “They asked me to stop and then they demanded I pay them 25,000 Afghanis ($350) as ‘malia’,” he told Al Jazeera, using the Dari word for tax. “I didn’t know what I was supposed to do,” he told Al Jazeera. “The tanker owners had refused to pay so far, but when they held us captive, we had no choice,” Hakim said, adding that tax rate for smaller trucks was $70. The Taliban’s “Department of Tax and Revenue” issued the drivers a receipt before releasing them.